The second “1-in-1,000 year rain event” in two years sent floodwaters roaring down Main Street in historic downtown Ellicott City, pushing water as high as the second floor in some buildings. 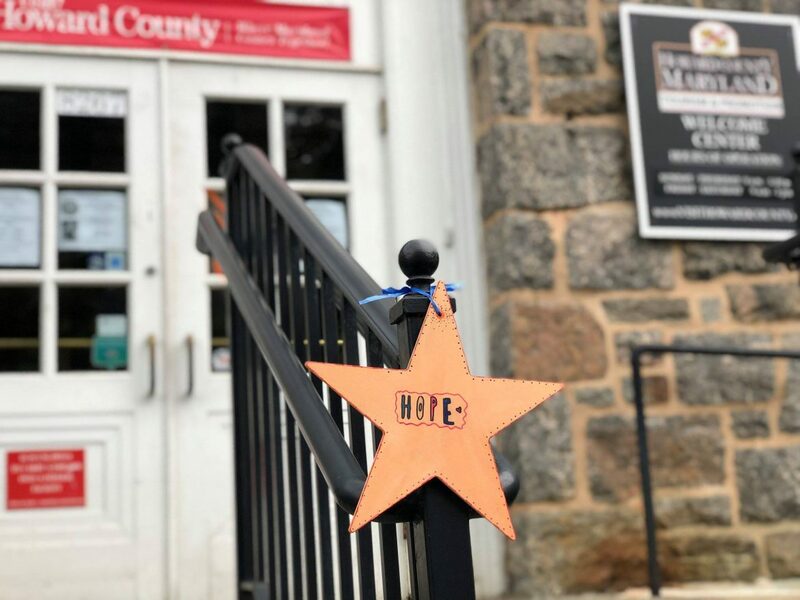 Help create Hope for Ellicott City with Stars of HOPE to serve as beacons of light and strength as Ellicott City continues to heal and rebuild. 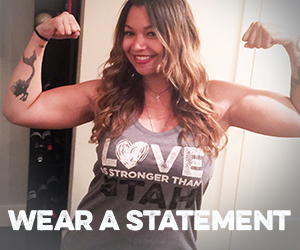 Your Stars of HOPE act as a daily reminder of strength to have hope. The unique approach behind the Stars of HOPE is that we took a simple art project and turned it into a public art display in a disaster zone. This allows us to give inspiration and emotional support to thousands of disaster survivors within devastated communities who see these messages of encouragement and compassion throughout the long-term recovery phase of disasters. Order your Stars of HOPE Box of HOPE to support the community of Ellicott City, Maryland. 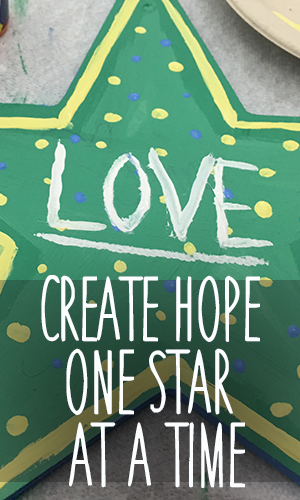 Where do I send my Stars of HOPE after I have painted them for Ellicott City?